What will propel you to the top of your profession yet 42% of adults fear it more than death? It’s been proved that the number one attribute that will lead you to the top of any profession, according to research by the Harvard Business School, is the ability to speak passionately, persuasively and professionally, especially in public. Without doubt those rare individuals who can communicate with impact and win others over to their ideas, and way of thinking, are the ones who will enjoy the best careers, rewards and relationships. If you stop and think about it, who couldn’t benefit from improving their skills at positively influencing clients, customers, prospects, colleagues, family and friends? Yet, ironically, being asked to speak in public, based on our own independent research, is the number one thing people fear the most (even beating the fear of dying into third place). This means most people, probably including you, would rather die than speak in public. Of course it is embarrassing for all concerned, when someone manages to do both at the same time! So how do you avoid dying on your feet in front of an audience of one or one thousand? And if you are already pretty good, how do you become outstanding? The answer is to take time out to invest in your most important asset – yourself – and get some training. The Confident Club provides just that. International business speakers at the top of their profession will unlock their secrets and teach them directly to you. 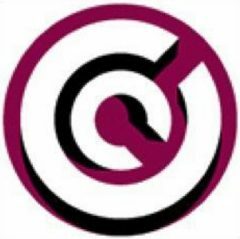 Working with everyone from CEO’s and senior managers through to sports people and TV presenters the Confident Club’s clients include: Harrods, Sony, Vistaprint, Pets at Home, Republic, Arco, ITV and Coca-Cola. Motivational speaker, confidence coach, inspirational humorist & northern soul boy meet Steve McDermott. 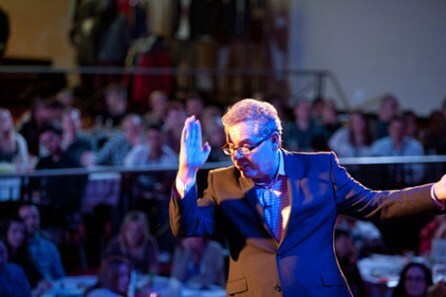 Steve is recognised as one of Europe’s funniest, most insightful, motivational speakers and facilitators. Steve is also a broadcaster, businessman and author. His book “How to be a complete and utter failure in life, work and everything” is an international best seller. 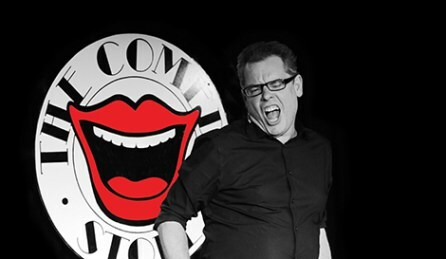 So is the live recording of the book which has been as high as number one in the comedy chart on Amazon. As well as being a Confident Club coach and trainer, Steve is also a motivational speaker, facilitator/MC or conference host and specialises in helping individuals and organisations develop new ways of thinking in order to realise their dreams. And as an expert in communication he shows clients how to convey their messages in more impactful and effective ways. 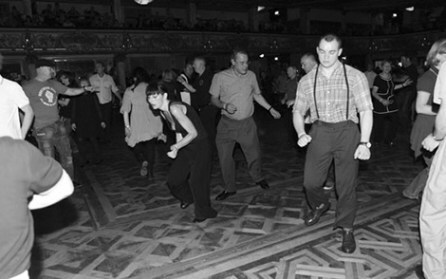 When Steve’s not speaking or coaching on our Presentation Mastery Workshop you’ll find him (and probably his son Finlay) northern soul dancing at romantic places like Stoke, Pudsey and Blackpool. Former chartered accountant, sailor, confident coach with tousled hair meet Curly Uppington. 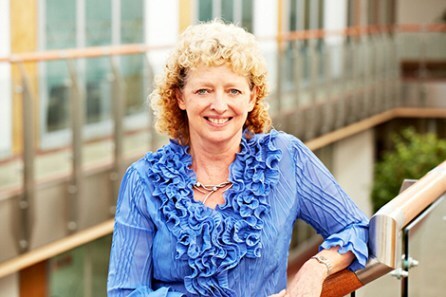 For many years Curly was a senior partner in a firm of chartered accountants where she gained very valuable business insight but realised she much preferred working with people rather than numbers. So she decided to follow her passion rather than her pension and left. 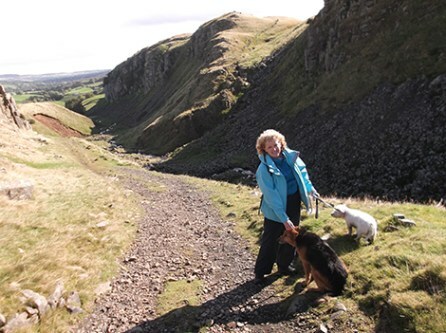 Curly re-trained as a coach and now spends her time helping others develop their confidence. 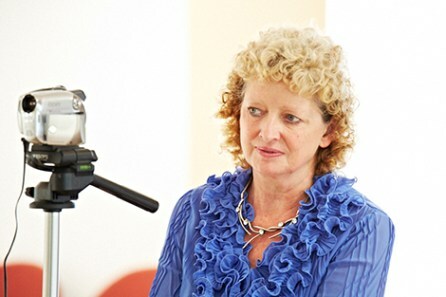 Curly has loads of experience of both one-to-one coaching and working with groups large and small and is also a master practitioner of NLP. On the Presentation Mastery Workshop you will usually find Curly at the back of the room multi-tasking whilst Steve is busy showing off at the front. 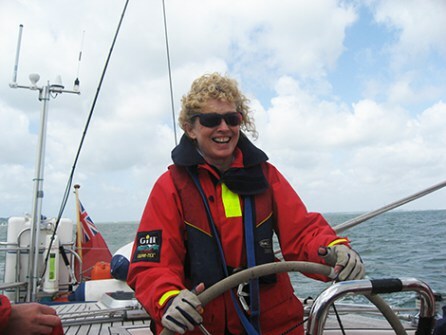 Curly now has loads more time for her other passions including sailing and walking her two dysfunctional dogs, Tara and Loobie.